Stocks are red. Trey Gowdy is abruptly retiring from Congress. Everybody is laughing at what looks like drool dribbling from the edge of Joe Kennedy‘s mouth during his rebuttal to last night’s State of the Union. And along comes Reuters, dropping a bombshell headline that, if accurate, could shift the narrative of the multiple investigations involving Russia and obstruction of justice. Reuters quoted Adam Schiff, the top Democrat on the House Intel Committee, who believes the contents of the four-page memo about allegedly egregious FBI abuses of FISA set for public release in the next several days, could lead to the firing of Special Counsel Bob Mueller, or more likely Deputy AG Rod Rosenstein. Now the question of course is whether this is a statement of fact – in other words the FISA memo contains cause for termination – or a smoke screen to claim that Mueller’s firing is only made possible by the “political act” that is the imminent release of the FISA memo. I mean, going to court to help Fusion GPS so we can’t find out they paid for the dossier, and that they were working for the DNC. That’s a pretty big step to go to court to try to keep the American people from learning something. 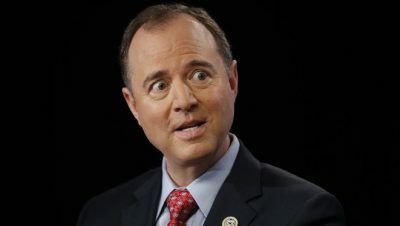 So, if it were up to Adam Schiff, you wouldn’t know about Hillary Clinton’s email. You wouldn’t know about the server. You wouldn’t know about the dossier. I do find it ironic that he has his own memo right now because if it were up to him, we wouldn’t know any of it. The question on everybody’s mind is whether the memo will prove that the FBI improperly relied on the Steele dossier to obtain FISA Court warrant on Carter Page. One Twitter user pointed out that Nunes’ statement comes close to confirming that this is indeed the truth.